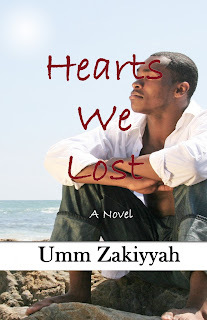 Umm Zakiyyah’s latest novel titled “Hearts We Lost” highlights the revival of a language, which, although on the verge of extinction, holds the power of transcending geographical boundaries to unite hearts of all ages, genders, colours and nationalities. Accentuated by enigmatic visions, the plot revolves around the struggles of each character to comprehend this language. This novel represents Islam in a new light and often delves into topics which are considered controversial or far-fetched in today’s time. Besides, it takes into account a myriad of intriguing cultural and spiritual issues. After years of pursuing Islamic studies in Riyadh, Sharif, who is set to be a local Imam in his homeland in fulfillment of his father’s final wishes, is perplexed by persuasive visions. Timid from childhood, he soon finds himself at odds with his fiancée, Hasna, a gorgeous but proud aspiring lawyer. Torn apart emotionally due to this crumbling relationship, he finds solace in the visions. The feeling is mutual for Hasna who, unable to bear rejection, gropes in the dark to find a reassuring shoulder. The world falls apart when Sharif finds a literal representation of the recurring dreams and reveals it to a confidante. Shunned by his near and dear ones, he decides to return to Riyadh. Is there anything for him in his own homeland? The story revolves around how these developments entangle the lives of other characters and revive the dying language to instill it in the hearts of those characters. The characters, though fictitious, are certainly going to prevail over your heart and occupy your memories for a long while. The highly eloquent style of the author and the detailed descriptions of events and emotions make the characters come alive. You will laugh with them, you will cry with them, you will feel their frustrations, you will feel angry at them – that’s how real the characters have come across. This novel has touched upon so many issues that the readers are likely to identify with some situation or the other; with some character or the other. Combining elements of description, narration, exposition and argument, the author has carved her own literary style. The language used is clean, even while displaying negative emotions, making it a healthy experience for readers. Marked by powerful and poignant statements, chances are that you will get to read something new at every stage. You will be looking at the same subject in a different perspective. In many cases, you will be introduced to new definitions. This ensures that you remain hooked to the novel till the end. The conclusion is one which will leave you craving for more. You will not want to bid farewell to the characters. You will be inquisitive about each and every character. Surprisingly, you will be left in a state of emotional bliss, yearning to be in the company of the characters in the conclusion of this novel. The strength of this novel is that without trying too hard, it is capable of jolting the readers – even the strong-hearted ones – to meaningful reflection and in some cases, to tears. The content of this novel is original and most importantly, strong – something that you have not read in a while. Perhaps, this is one reason why it has been so inspiring for me. It is indeed surprising how the novel has taught me invaluable lessons within the framework of a fictitious story. The author does not try too hard to scatter lessons here and there throughout the story. They appear naturally, with the flow of the story, as if the story demands them. I believe it will be a beneficial learning as well as enjoyable experience for the readers as it has been for me insha’Allah. We have seen Islam as a religion; we have seen it as a way of life. Now is the time to look at it as a language. A long-forgotten language will be revived insha’Allah to unite the hearts that we have lost. At a time when Muslim women are considered oppressed and backwards, Umm Zakiyyah’s efforts in producing mind-blowing literature are praiseworthy and match the international standards. Since this novel deals with issues faced across the globe, it is perfect for an international audience. I would definitely recommend this book to every avid reader. I wish Umm Zakiyyah success in this life and in the Hereafter. Jazakallahu Khair for the review. Sounds so interesting, will try to read this book soon,inshaAllah! Please do read this book and share this review to encourage others to read this book. Masha'Allah the book seems beautiful. How can I get a copy?